As some of you may already know, flea foggers (also known as flea bombs) make perfect use of insecticides so as to maximize their effects. At the same time, flea foggers can also be used to rid your house of common household pests like ants, cockroaches, and mosquitoes. For this reason, these items are often used in offices, factories, or commercial spaces with a fairly high rate of success. It needs to be said that these foggers often come in the shape of aerosol cans but that they can also differ in design ever so slightly. For that reason, you need to be well aware of what the market has in store before committing to a purchase. To help you in that regard, we put together a list of the ten best flea foggers money can buy. 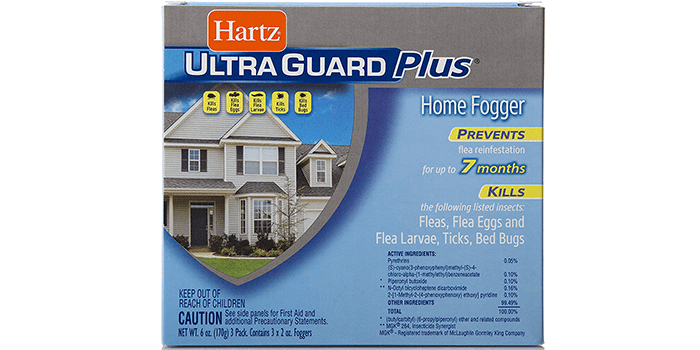 The Hartz UltraGuard Plus Home Fogger is an effective product that eliminates all traces of parasite infestations. Designed to kill fleas, flea larvae, eggs, mosquitoes, bed bugs, and ticks, it comes with 3 canisters that fog rooms measuring up to 16 x 16 feet with a ceiling measuring 8 feet high. Thanks to its heavy duty formula including high-quality active ingredients and insect growth regulators, it keeps fleas away for up to 7 months and safeguards your home and surroundings. As we all know, fleas, bugs, and parasites are not only found indoors but also can be a bother outdoors. 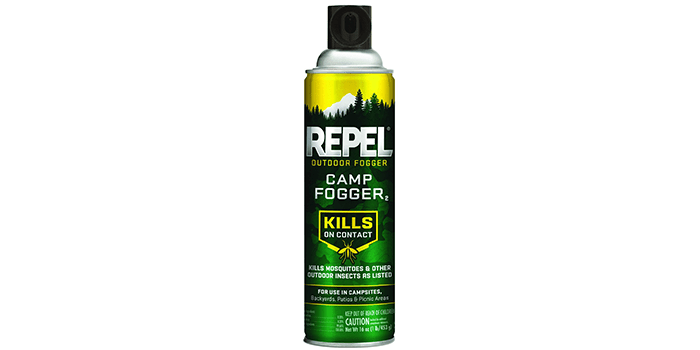 The Repel 42501 Camp Insect Repellent Fogger is the perfect solution for dealing with outdoor parasites, effectively keeping them away from your campsites. 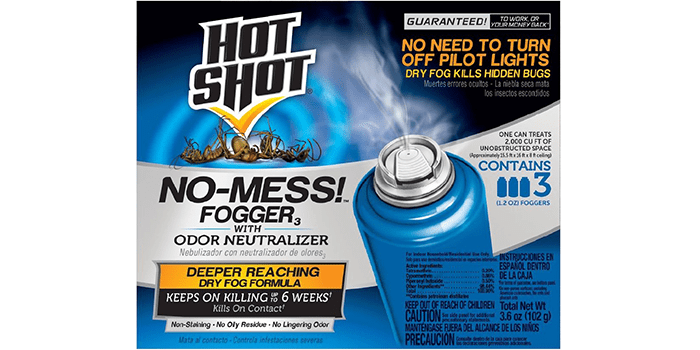 With the ability to kill on contact, this premium grade fogger works on mosquitoes and most outdoor insects and is great for utilizing in your backyard, patios and while you are on picnics or camping with your family. For best results, it should be applied directly to cracks and crevices and should be kept away from drainage systems and sewage pipes. 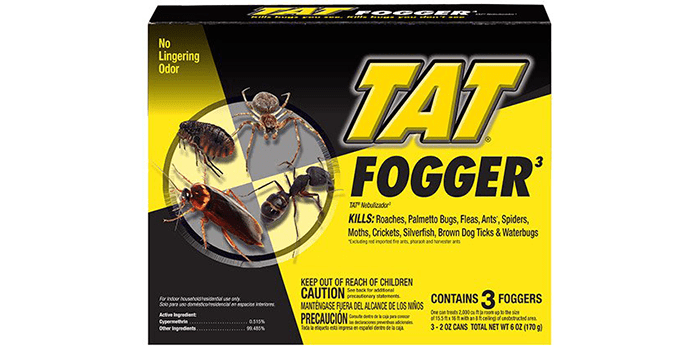 Containing 3 foggers, the TAT 31100 Concentrated Fogger is a high-quality product that eliminates all kinds of parasite infestations. Killing ants, houseflies, cockroaches, mosquitoes, fleas, and other insects, it can be utilized in attics, homes, garages, basements, campers, boats, and other areas. Designed to treat up to 2000 square feet per can, it penetrates deep into hidden crevices, including carpet fibers, cracks in the walls and on the floor to eliminate unwanted bugs and insects and flea eggs and larva. 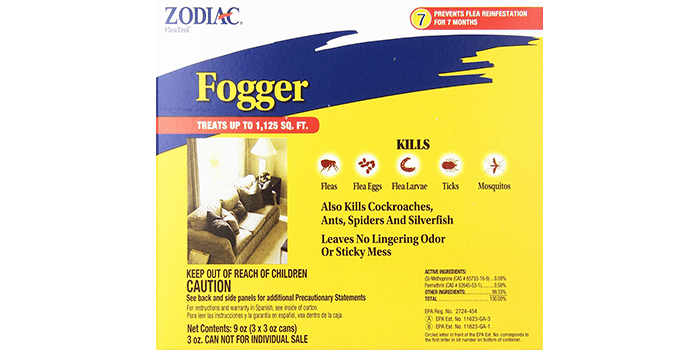 Specially formulated with the ability to kill fleas, hatching flea eggs, cockroaches, mosquitoes, ticks, spiders, ants, and other insects, the Zodiac 100521158 Room Fogger is a complete solution to effective control of insect infestation. Thanks to its insect growth regulator along with its special agents, it helps to protect your home for up to 7 months by preventing the development of flea eggs. Treating up to 1125 square feet, it is completely safe to use and does not leave any residue or unpleasant odors behind. 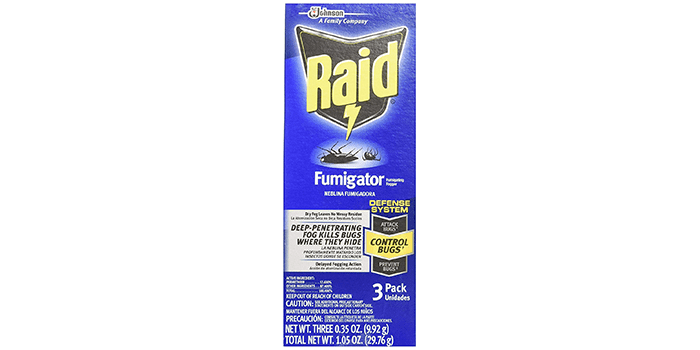 Known for its performance and effectiveness, the Raid Fogger / Fumigator is a premium grade product that is one among the best of its kind. Producing a heavy duty smoke, it penetrates into hard to reach areas behind walls, in deep cracks and crevices and kills household pests completely. Leaving no oily residue, this dry fogger is crafted with a unique formula that comes with a clean odor. Highly recommended, it is considered as the best defense system for bugs, fleas, and other unwanted insects. 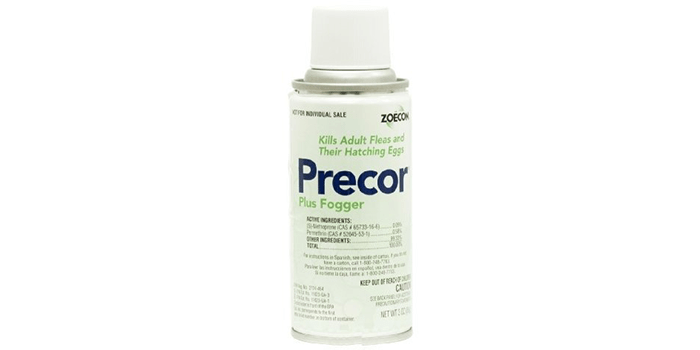 The Precor Plus IGR Fogger Flea Control is a high-quality fogger that effectively eliminates fleas within an area of 750 square feet. Killing both fleas and its eggs, it keeps them away for up to 7 months and ensures your home is free from future attacks. Thanks to its unique formula, it does not leave any lingering odor and residues after application. Ideal for applying in crevices, cracks, and rugs, it ensures it penetrates deep into hidden areas where fleas hide and hatch their eggs. 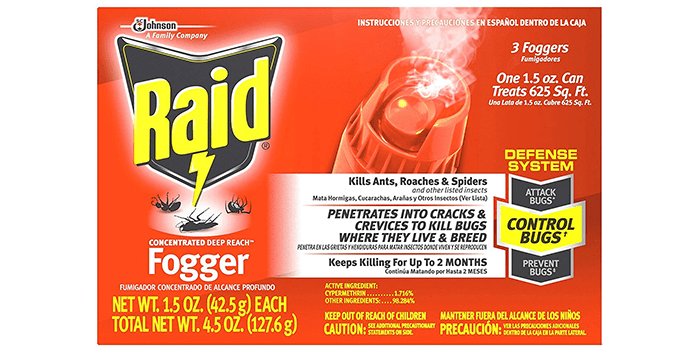 The Raid Concentrated Deep Reach Fogger comes in a pack of 3 and designed with an effective, concentrated formula that kills cockroaches, spiders, and ants. Covering an area of 625 square feet, it consistent kills for up to 2 months, keeping your home safe from infestation. Crafted to penetrate deep into cracks and crevices, it aims at eliminating bugs exactly where they hide and breed. Leaving no odor or residue, it does not stain or leave marks on applied areas. 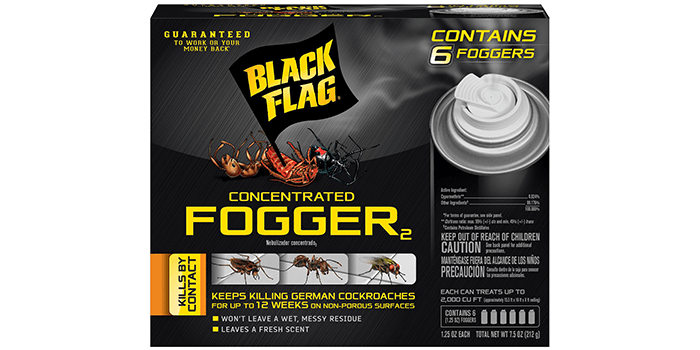 Killing a wide range of household pests like roaches, spiders, fleas, ants, silverfish, mosquitoes, ticks and flies, the Black Flag Count Indoor Fogger can treat up to 2000 cubic feet of space which is approximately 15.5 feet by 16 feet with a ceiling measuring 8 feet. Leaving a pleasant odor after application, it is ideal for applying in homes, attics, apartments, garages, basements, and storage areas as it does not leave any messy residue behind. 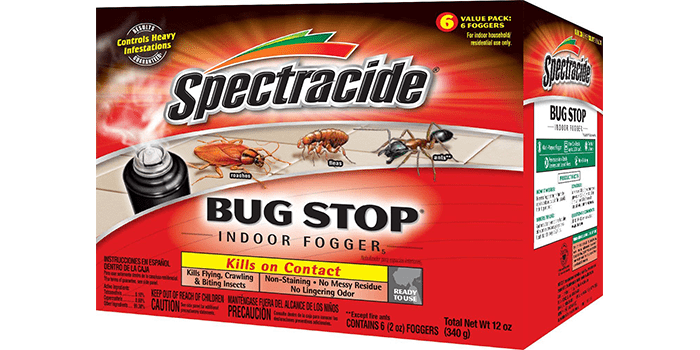 Designed with the special ability to kill insects that fly and crawl, the Spectracide Bug Stop Indoor Fogger kills on contact, while leaving no trace of messy residue and stains. Ready to use and extremely effective, this fogger is formulated with unique active agents that do not leave any unpleasant odor. Ideal for indoor use, this product should be applied and left for two hours before returning to the area. Treat up to 2000 cu ft. it penetrates into the deepest cracks and crevices and kills all types of insects including ants, beetles, bugs, spiders, silverfish, mosquitoes, water bugs, fleas, gnats, crickets, roaches and more. This is perhaps one of the best flea foggers out there on account of it being highly economical and fast. As such, it provides the perfect way of getting rid of unwanted insects and parasites, which is owed to the fact that it is crafted with the special ability to kill on contact. Featuring an odor neutralizer, this fogger lasts for up to 6 weeks and is extremely effective by most standards. 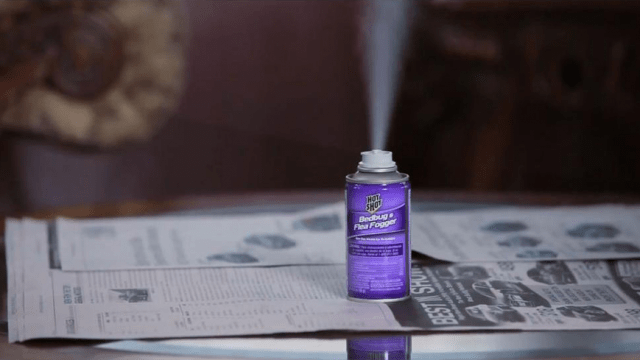 Producing a highly effective thin mist that penetrates into deep cracks and crevices of your home, it kills bugs and fleas along with other household pests. Ideal for using in attics, cabins, basements, sheds, storage areas, homes, campers, barns, boat cabins, trailers and more, this product does not leave any stains or residue behind and is completel odor-free.